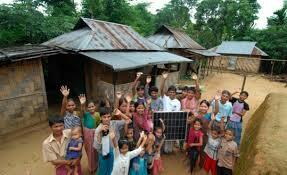 Shakti provides solar for rural areas. February 10, 2017—-Founded in 1996 in Bangladesh, Grameen Shakti has installed over 5 million solar home systems and created over 100,000 clean energy jobs. Grameen Shakti was set up as a not-for-profit in 1996 to bring modern energy services to households, by providing both energy technology (solar-home-systems for electricity, improved stoves and biogas for cooking) and affordable finance, at a local level. 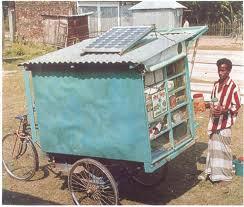 Shakti provides solar for small businesses. In Bangledesh 80% of the population lives in rural areas, which is where Grameen Shakti gets its name—translation is “rural energy”. Nearly half of rural Bangladesh becomes islands during the rainy season as snow melts in the Himalayas, rushing through the countryside to the Indian Ocean. Income varies among the populations with many people finding solar out of reach because of low income. Obtaining solar would equal the entirety of several months wages for some people. 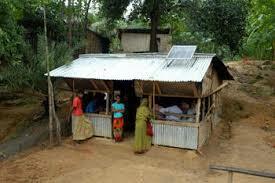 Solar power is provided for rural Bangladesh. Shakti focuses its solar energy towards what the customer needs, and makes plans with the rural people to pay for it with very affordable loans. In an article by Nancy Wimmer, director of microSOLAR, she states, “Shakti meets this challenge by creating rural supply chains and after-sales service. Its engineers and technicians live, work and are trained on the job in the villages. They become part of the community, keep in close contact with their customers, and make sure the solar systems are in good repair and running properly. If there is a problem, Shakti is on site to solve it – even in times of disaster. Shakti sent young, motivated engineers into the hinterland to set up its first branches. They won the trust of the villagers, trained village technicians, managed all financing, solar installations and maintenance. This laid the groundwork for Shakti’s quality service and steady growth, but it took years to develop.” Shakti now has 1500 branch offices in every district of Bangledesh, and has trained mostly women as engineers. 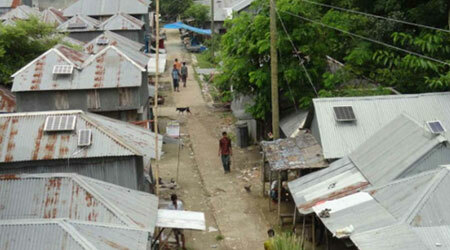 Shakti provides Bangladesh with solar power. Today Grameen Shakti has reached nearly 8 million rural dwellers, with not only solar but also biogas plants, which are produced by the breakdown of organic matter such as agricultural waste, manure sewage or food waste. It has also provided over 600,000 energy efficient cook stoves to rural areas. Shakti is a winner of the Ashden award, which supports sustainable energy trailblazers that focus on a world where everyone has access to affordable, clean energy. The Ashden awards recipients are encouraged to move closer towards a low carbon vision through tangible, powerful examples to inspire others to act by providing the winners finance, publicity, and research. Grameen Shakti: Doing what it can, where it can to create a healthier planet! Categories: biofuels, Building Green, Climate Change, Solar | Tags: #Bangledesh, #Grameen Shakti, #renewableenergy | Permalink.